Car maker Ford Romania has asked for a USD 3.5 million customs tax return from the Romanian state for car parts imports made between November 2007 and November 2008 for its Craiova factory, according to Mediafax newswire. 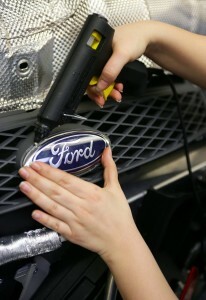 Ford has registered a file at the Craiova factory at the beginning of March. However, tax customs representatives said Ford could have asked for a tax relief on imports for maximum a year after importing the products. The first hearing in the trial was set for April 9.